Peel the asparagus and cut diagonally into pieces approx. 1 cm wide. Cut the salmon into strips, finely chop the shallots and chives. Cook the pasta in salted water until al dente, set aside approx. 150 ml of the cooking water, drain the pasta. Heat the oil in the same pan. Sauté the asparagus and shallots for approx. 5 mins. Add the crème fraîche and reserved cooking water, season, simmer for approx. 5 mins. 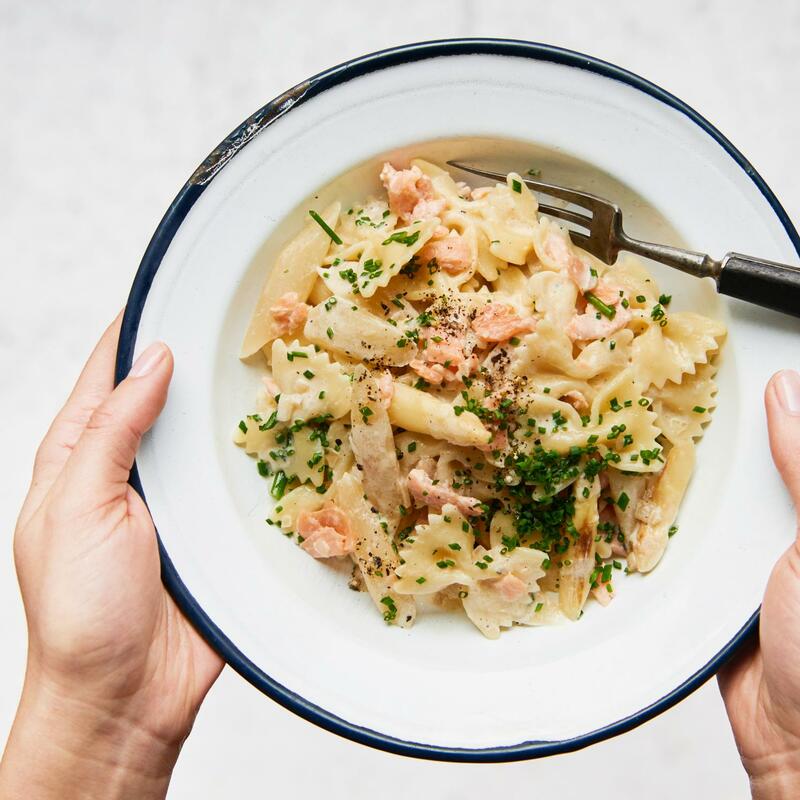 Mix in the pasta, salmon and chives.